Hot Lake is an unincorporated community in Union County, Oregon, United States. Hot Lake has an elevation of 2,703 feet (824 m). It is about 10 miles (16 km) east of La Grande, and 7 miles (11 km) northwest of Union. The first Europeans to see Hot Lake were the 32 members of an expedition under W. Price Hunt, who entered the Grande Ronde Valley on January 1, 1812, on their way to the mouth of the Columbia River. On August 7 of that year, Robert Stuart made the first written notation of the place while returning from the Columbia River. Hot Lake became a resting place for travelers, especially when settlers began traversing through the valley on the Oregon Trail in the 1840s. The first hotel was built at Hot Lake in 1864 by Samuel F. Newhard, and a post office was established in 1883. In 1884, the railroad was built through the area. The Hot Lake Resort was built in 1906. The resort began to decline in the 1930s, as a result of the death of its director since 1917, Dr. W. T. Phy, a disastrous 1934 fire, and the Great Depression. The post office was discontinued in 1943. Hot Lake is now served by the La Grande post office. Mighway, by TH2, allows you to rent your vehicle to discerning travellers when you’re not on the road, earning money and sharing the experience. At Mighway, you choose your level of service and we take good care of the rest. That means comprehensive insurance coverage, customer vetting, security deposits, payment processing and round the clock customer support for renters. It’s a bit like renting out a vacation home, with Mighway beside you all the way. in the scenic "Peace Valley"
Eagles Hot Lake RV Park is the place to stay in the scenic "Peace Valley" of northeast Oregon. We're situated 10 minutes south of downtown La Grande. Our facilities will impress you, with grassy, pull-thru sites, 30 & 50 amp service, tent sites, sparkling clean restrooms and much more. Under new management, Eagles Hot Lake RV Park is the perfect destination for all types of travelers! 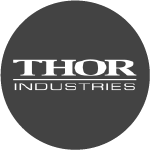 Parent of brands like Airstream®, Thor Industries owns companies that together represent the world’s largest RV manufacturer. 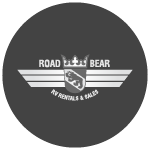 From 1980, when they built their first Camper Van, to today, Road Bear has been on an unquestioning quest to 'be the best for the customer'. 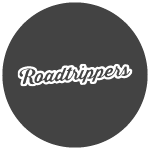 Roadtrippers helps people discover the world around them in an entirely new way by streamlining travel into an engaging and intuitive process. 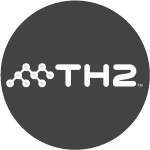 TH2 is a joint venture created by travel giants: Thor Industries, the world’s largest RV manufacturer, and thl, the world’s largest RV rental and sales operator.